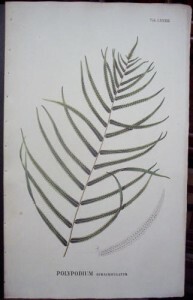 Description: “Polypodium Subauriculatum” Tab. LXXXIII. 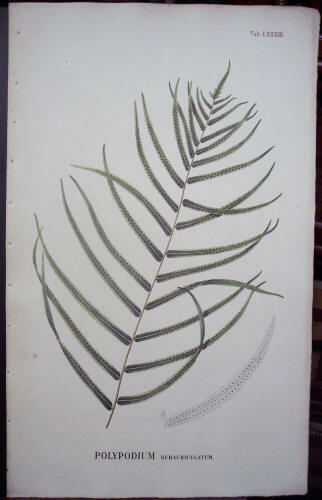 Original 1829 Hand-Colored Fern Lithograph from ‘Flora Javae.’ Very lightly toned with foxing, holes on the left-hand side.